Our newest addition to our beard care arsenal allows you to continue to grow and maintain a healthy beard all while adding some weight to keep pesky beard hairs at bay. We’ve formulated our beard balm using shea and cocoa butter to condition, and a touch of beeswax for some weight without an unwanted amount of stiffness. 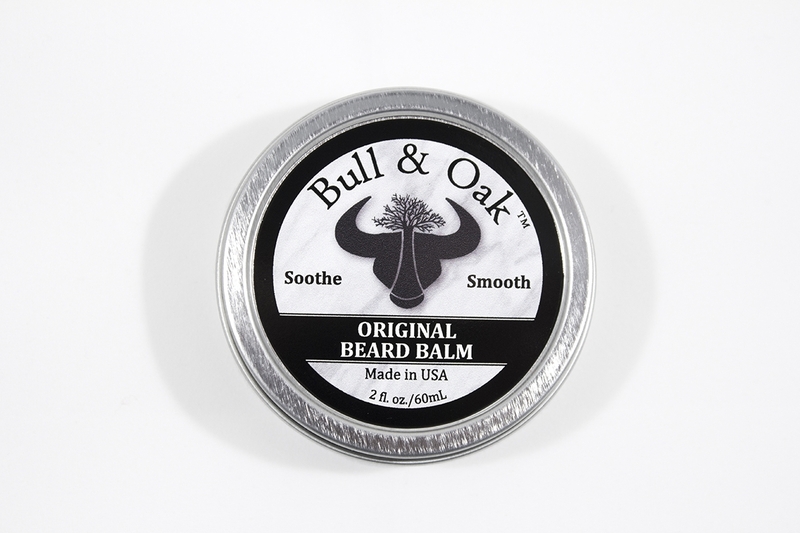 Unlike other balms, ours scoops out of the tin with less effort and is easier to massage into your beard. This means your beard will look healthy, well-maintained and in place all while being soft the touch. Original is a light-yet-noticeable scent of blended essential wood oils including sandalwood, with a hint of eucalyptus to stimulate your senses. Manly and rich, yet subtle. The scent is shared with our Original Beard oil to allow the use of both simultaneously without confusing your nose or beard hairs. You can say the pair works together like Batman and Robin. Or better yet, like gin and tonic. 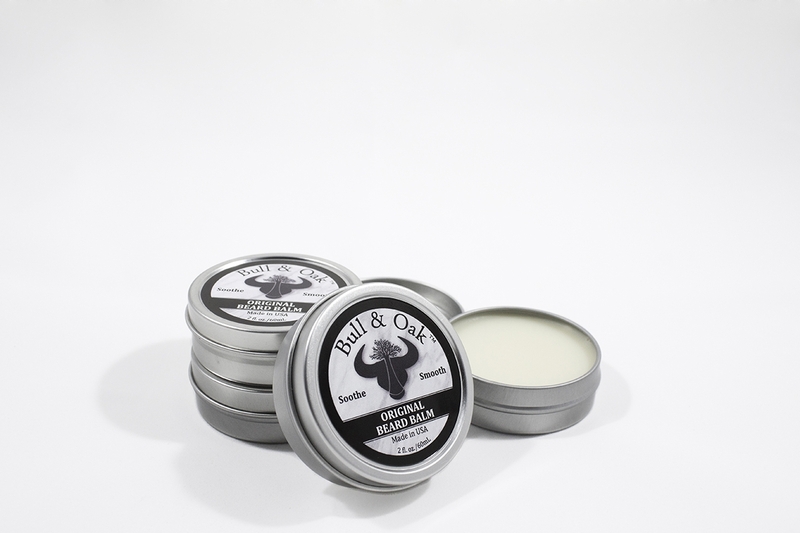 Since our balm is light on wax, it can either be applied on a dry or slightly wet beard. Depending on beard length, scoop enough balm to evenly spread amongst beard hairs. After you have worked it into your beard, use our handmade 100% bullhorn comb to style.